Due to work commitments it's not often i get a weekend. Friday nights and Saturday mornings constitute part of my regular working hours, so this weekend i had booked these off with not just great delight, but also with great anticipation. My diary was looking extremely full and i was going to make the most of it. Friday started with a trip to The Forum in Kentish Town to see ageing punk rockers Stiff Little Fingers on their 35th anniversary tour. I was accompanied by SLF concert veteran, and fellow Charlton supporter Marco notching up i believe his tenth SLF experience. Leaving home early i made a quick pit stop at the Euston Tap for a pint of decent ale before continuing on to NW5. Another Charlton friend of mine, Jim, had recommended The Southampton Arms to me as a pre gig watering hole. All i can say is it's a good job i don't live in Kentish Town or I'd be in there every single night of the week. What a fantastic pub! Walking up towards the building i could see, painted in a neat square on the bricks, the words ale, cider, meat in a real olden day style. Church pews served as seats, the wall behind the bar is tiled floor to ceiling and the atmosphere was as good as you can get in a public house. The beer was not only served in jugs, but pretty delicious as well! On then to The Forum and the main event. Unbeknown to me, another of my favourites were on the bill as support act, Spear Of Destiny. Unfortunately we only caught the last two numbers but front man Kirk Brandon's vocals haven't changed a bit. Neither has his attitude! They ended with one of their most famous songs, Liberator. I never thought I'd ever get to hear that particular favourite live so was really excited by that wonderful surprise. And yes, it was as good and loud as i could have hoped for. One thing that really stands out with this type of gig is the audience. Full of forty and fifty somethings, a mixture of men and women who had been listening to this genre of music for decades, it was obvious to me now that old punks are still out there, just fatter and balder than they used to be. There were really very few young people getting in to this 'old man' music which is a shame, but i suppose is understandable. I got to see the new generation of concert going youngsters on my way home who had been to see Black Veil Bride at Brixton. An odd looking bunch of teenagers, i did the all important and necessary old bloke speech telling them it's unlikely their band will still be playing in thirty five years time. They told me to go fetch my slippers, or something like that. Stiff Little Fingers themselves failed to disappoint. All the old favourites were there, Tin Soldiers, Suspect Device, Gotta Getaway and a great rendition of Alternative Ulster to finish. All delivered with an energy and enthusiasm as if they were playing them for their first time. Even the most energetic of the middle aged up the front were behaving like they did back in their heyday with plastic beer glasses flying through the air. Jake Burns was good enough to remind them that these days beer is expensive and probably ought to be drunk rather than thrown. A truly enjoyable gig, Burns promised they'd be back for more of the same next year. I'm sure, God willing, Marco and myself will be joining them. When i got home at half twelve Friday night Heidi, my wife, was still baking. She'd run out of marzipan so we did a dash to Tesco enabling her to finish the cake, and i eventually got to bed around two. Once a punk always a punk. These cakes were one of her final tasks in over two months of organizing a masked masquerade dinner dance at our church. Her reasoning for this event was to celebrate Easter. We always party at Christmas but, as Christians, Jesus death on the cross and his resurrection are what give us the freedom and relationship with Him that we live in today. So a big party to celebrate this and a chance to raise a few quid for a worthy cause was on the agenda. And I've got to say, i was so proud of her. 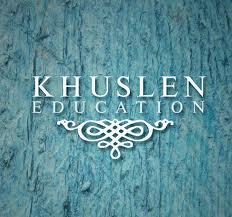 Khuslen Education in Mongolia was where the profits were going. A chance to give deprived kids out there a decent schooling and stand more of a chance to really make something with their lives. If you can, check the link and look at some of the pictures. The kids are adorable. We had a huge spread of food, a splendid band called The Moneypennies, some great raffle prizes, and most importantly some wonderful guests who all got into the spirit of it with fantastic and creative masks. Now, many people (myself included) will look at an event that's hosted by a church and think it's going to be quite a stiff and boring event. You really couldn't have been further from the truth. This ball has done wonders to break that mould and would have been just as fitting to a social club, town hall or just about any venue. The church family pulled together and decorated the hall to a standard which many would have said to be professional. The band didn't make a penny and only charged us for their costs, and just about everyone got up and danced as they belted out classic after classic. I even kept my composure on the microphone to act as compere for the evening. When you are charging £7.50 for a ticket, there is a real pressure to make sure people feel like they have had their money's worth. Everybody did last night. So many happy faces, even during the short obligatory gospel message from our pastor before he said grace! God was last night, as always, very very good. During a busy run around on Saturday afternoon with a last minute check list, i even got to listen to the Charlton commentary from their very important home game against Leyton Orient whilst ironing my shirt and trousers. A two nil victory keeps that important gap between us and the chasing pack and lessons the nerves slightly. Yet another candle on an already extravagant cake!